From Mary's newest "Hearts of Rescue" series. Stamped and etched patinaed heart with "ROM 8" on the charm. Triple strand necklace with adjustable chain has green, gold and blue beads with turquoise, crystal and tinted freshwater pearl. 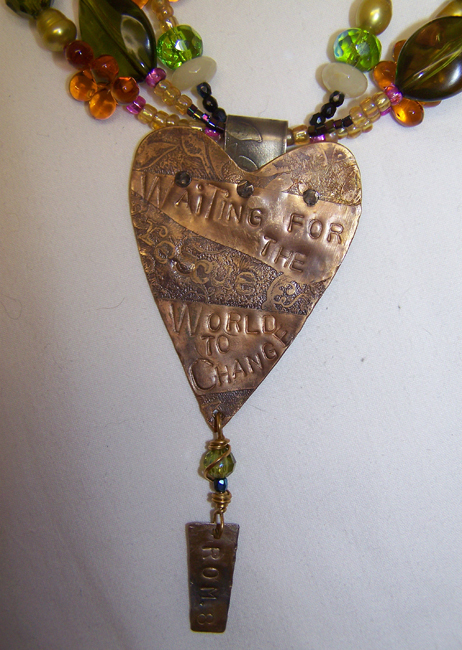 Pendant is 4" total length including charm. 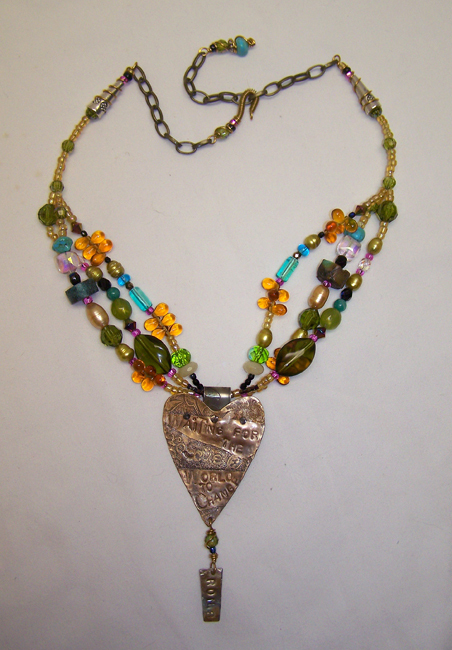 The necklace may be adjusted from 20" to 23".